Cooler weather, beautiful fall foliage and an epic tailgate are all part of celebrating autumn in Colorado. This year, Estes Park invites guests to enjoy a new sort of ‘tail&apos;gate experience during the area&apos;s Elktober season. That&apos;s right, load up the truck with picnics and umbrella chairs and head to the mountains to experience the annual tradition of watching Estes Park&apos;s thousands of elk perform their mating rituals. Instead of the roar of the crowd, experience the call of the wild as the bull elk bugle echoes through the valleys. The gridiron becomes the scenic valleys of the Rocky Mountains and the plays are the locking of horns; bulls battle each other to prove dominant status and win mating rights. Teams are replaced by harems, the coveted prize for the strongest of the bulls. Elk spotters are encouraged to share the locations of the elk on Twitter, Facebook and Instragram, using the hash tag #EstesElkWatch to alert others of where they can be spotted. The elk rut is at its peak from mid-September through mid-October, corresponding nicely with the height of fall foliage colors. The two activities are perfectly set among the snowcapped vistas of Rocky Mountain National Park, just west of Estes Park. In the park, nature lovers can enjoy the scenic fall views by car, on horseback, on foot or as part of a guided tour. Local off-road vehicle tour operators and the Rocky Mountain Nature Association have expert guides to educate guests on the elk rut, as well as flora and fauna throughout the national park. People in the Estes Valley have been marveling at the elk rut for centuries and the village of Estes Park celebrates this history each year at the annual Elk Fest. Residents and vacationers gather together downtown Estes Park for a weekend of live music, educational sessions, Native American music and stories, and elk-themed activities. 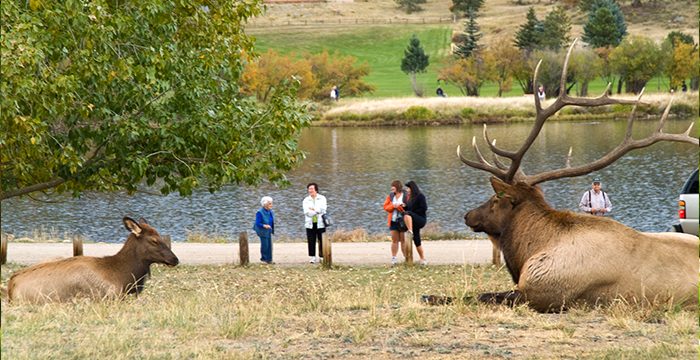 Guests should grab a ticket early for the always sold-out elk viewing bus tours that depart from Bond Park. The on-board guides offer insightful commentary about the elk and passengers are guaranteed to see the harems and bulls in action. The 2013 Elk Fest will take place downtown in Bond Park on Saturday and Sunday, September 28 & 29. Bus tour tickets are available at tickets booths inside Bond Park. The multi-sensory experience of fall in Estes Park provides educational, yet emotional, encounters with the regal elk alongside breathtaking views of twinkling gold aspen leaves skirting the majestic peaks of Rocky Mountain National Park. Sights, sounds and views one won&apos;t soon forget. For information about autumn activities, events and special offers, go to VisitEstesPark.com/Tailgate or contact the Estes Park Visitor Center at 970-577-9900 970-577-9900. 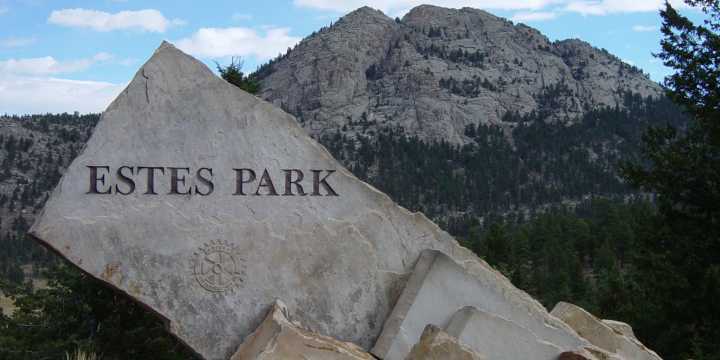 For media inquiries, please contact Brooke Burnham with Visit Estes Park at 970-586-0500 970-586-0500 or BBurnham@VisitEstesPark.com.